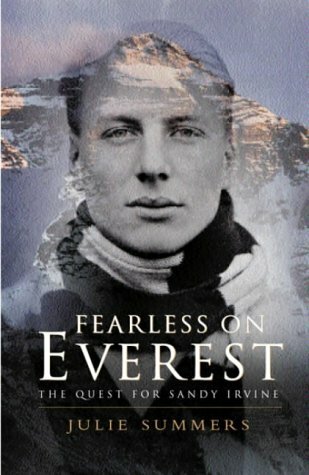 I’m currently reading Fearless on Everest, an excellent biography of mountaineer Sandy Irvine, who was lost on Everest with George Mallory in 1924. The author is Irvine’s great niece, Julie Summers. Although National Geographic were relaxed about showing the corpse reconstruction, they balked at a tale I told of Sandy’s prowess. Sandy Irvine had a brief but indiscreet love affair with Marjory Summers, the very much younger second wife of Harry Summers … Marjory, who had been a chorus girl when she married Harry at the age of 19, found life married to her stout, balding, fifty-two year old husband quiet. Dull even. … In a move of the utmost audacity she followed Sandy to Norway when he went with the Merton College Arctic expedition to Spitsbergen in July 1923. I found Sandy’s diary from the expedition in the library at Merton College, Oxford …on the last night that they were on board … Sandy visited Marjory’s cabin at five o’clock in the morning and made love to her three times before breakfast. I would highly recommend Fearless on Everest to anyone who is fascinated, as I am, by Mallory and Irvine’s attempt on Everest. The book has received excellent reviews. I have not yet seen The Wildest Dream, which was released in the UK whilst I was in America. Have you seen it and, if so, what did you think? Is Marjory portrayed in the film? 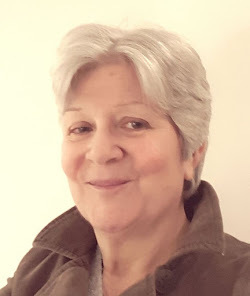 Julie Summers tells me that Marjory does indeed feature in the film. If only I could track it down in a cinema near to my home. Perhaps one day it will come out on DVD? Thank you, Anthea. This is fascinating. I've replied to you by email. What happened to Marjorie Summers? It must have been quite sad for her. Marjorie married and divorced again - twice. The second divorce was in 1933. Within 10 days she had remarried and two months later she was off on a sea voyage. I have the feeling that Marjorie always lived life to the full. The third divorce was in 1948. She died, childless, in 1958.